When her divorcing parents decide to split her sister’s ashes into his-and-her urns, Harper takes matters into her own hands. She’ll steal the ashes and drive cross-country with her best friend, Laney, to the one place June always dreamed of going California. Except June wasn’t the only one hiding something. Jake’s keeping a secret that has the power to turn Harper’s life upside down again." Thoughts: Beware, there may (most likely) be a great deal of fan-girling. Enter at your own risk. Have you ever seen or heard of a book and think to yourself, "This is something I'm going to love!"? Well, Saving June was that book for me. From the second I read the summary, I knew this was something I desperately needed to get my hands on. What I wasn't expecting was how all-consuming, borderline obsessive I'd becoming. Heartbreaking, adventurous, and just plain beautiful, Saving June is one of those books you won't soon forget. The story revolves around Harper and how she deals with her grief over her sister's suicide. Her father's practically non existent, her mother is barely holding on by a thread, and to top it off, her overbearing Aunt Helen is always around. Harper can't understand why her perfect sister would end her life so rashly and not even leave a note behind. Then, Harper does the unthinkable. In order to truly set June free, Harper, her best friend Laney, and the mysterious yet obnoxious Jake all embark on a road trip to California. Their goal, to cast June's ashes in the one place she truly wanted to be. And along the way, they endure their fair share of political rallies, crazy exes, and of course, music. Harper is by far one of the best, most well developed characters I've read about in a very long time. She's snarky, witty, beautiful, and broken. Her soul sings, even if she thinks no one is listening. Every time she got into an argument with any of the other characters, I couldn't help but smile or laugh from her clever remarks. Even though she's clearly in pain and needs to grief, she always puts her friends first. Needless to say, and please excuse my language, but Harper is a badass with a heart of gold. Oh, and of course, there's Jake. Charming, honest, cocky, and oh so dreamy Jake. From his grin, to the way he always has something to say about music, it's no surprise how easy it was for me to fall head over heals in love with him. Swoon-worthy is an understatement. If more boys like Jake Talon existed, this world would be a better place. I loved how the mystery of how he's connected to June, and why he agreed...no insisted in going on this journey with the girls unfolds. And I promise you, every time he says anything about music (and it will be quite often), it will make your heart go pitter-patter. While everyone wants or wished they could have saved June, he may be the only one can really, truly save Harper. “It's just nice, I guess. Knowing that someone else can put into words what I feel. That there are people who have been through things worse than I have, and they come out on the other side okay. Not only that, but they made some kind of twisted, fucked-up sense of the completely senseless. They made it mean something. These songs tell me I'm not alone. If you look at it at that way, music... music can see you through anything.” This quote pretty much sums it all up. See what I mean by heartbreaking yet beautiful? Overall, I cannot put into words how much I loved Saving June. 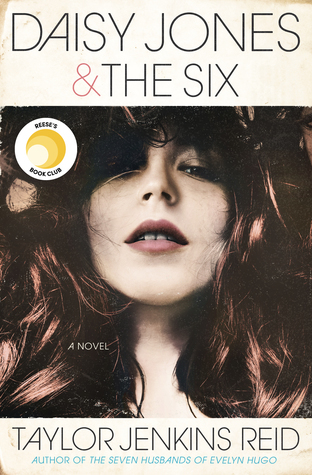 It's definitely one of my favorite reads in 2011...wait, no, ever, and I can't wait to read whatever Hannah Harrington has in store for us next. If you're a fan of Morgan Matson's Amy & Roger's Epic Detour, you are going to love this book. 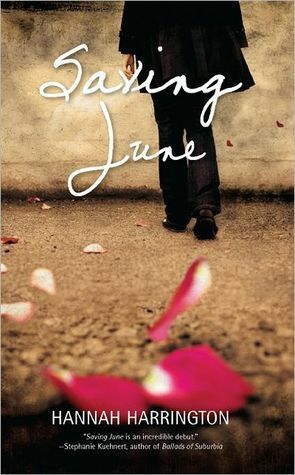 Music lovers, book lovers, lovers of lovers, you must get your hands on Saving June immediately. Like I said, it's hard for me to explain to you how wonderful and amazing this book really is. You're just going to have to experience it for yourself. Great review and itching to read this one now. Awesome review Lena. I had more mixed feelings ranging from OMG I'm SO in love with this book to mild annoyance but it did ultimately make me happy. I have only heard wonderful things about this novel. I can't wait to read it. Wow! Everyone is loving this one! I have to get to it soon! I love the sound of the characters they seem incredibly well written and that's always a sign of a fantastic read for me!! I got this on my tbr pile and I cannot wait to read it once Im good. THanks for the review. Sounds like a good one, can't wait to get round to it! Maybe we can convince the good people at The Book Report to do a show on some of the great YA novels out there! Ah yes get them to check it out! I am a huge book report fan and I think itd be great to get this on there! Great publicity plus Elaine Charles does a fantastic job on her reviews so it could be a win win! This was the first road trip book I've ever read before and I really enjoyed it. I recommend this novel to anyone who needs an to cry a little who needs a tad of steamy romance and an awesome best friend! I can say I'll be picking up more road trip books and Hannah Harrington books in the future.